At the last weekend of June, the municipality of Agios Nikolaos and the High Diving association „Infinite Drop“ organise a high diving competition and a night show in Agios Nikolaos. The cliffs at Lake Voulismeni, placed directly in the centre of the city, are perfect for the international cliff divers to show their somersaults and twists. Further information can be found on http://agiosnikolaoscliffdiving.gr/. During the two competition days, children of all ages will have the opportunity to learn tricks from professional high divers. There are only two requirements: they need to be safe swimmers and they are looking for fun! The workshop at Lake Voulismeni starts at a diving level of around 2.5 metres, where the children will learn how to enter the water correctly. The brave ones can also learn a somersault. Then, depending on their skill and age, the children will have the opportunity to dive from higher levels. The maximum diving height for the children will be around 10 metres. 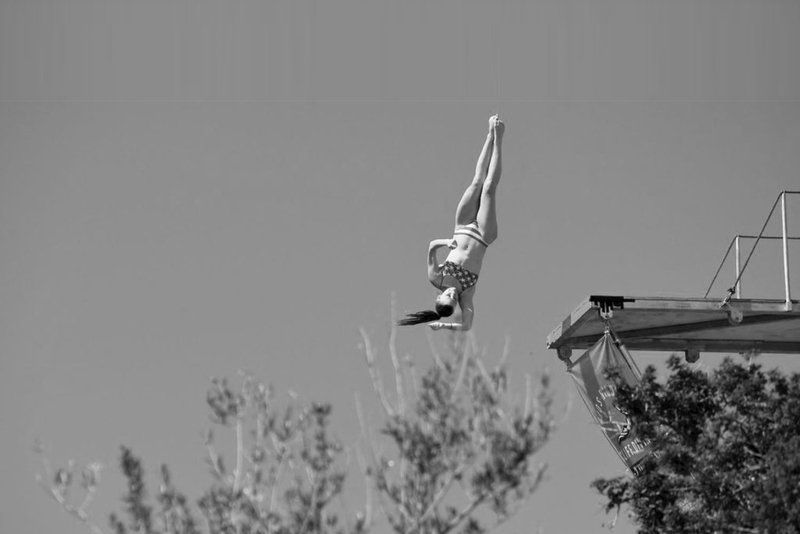 All divers for the Agios Nikolaos Cliff Diving Competition 2019 have to apply for a starting position. The results of last year’s events in Ponte Brolla and Agios Nikolaos will be considered in the selection process. Members of Infinite Drop High Diving enjoy a privilege. Application deadline for this event is 1 May 2019.